Today, I want to share my list of the top 65 best personal development books of all time. 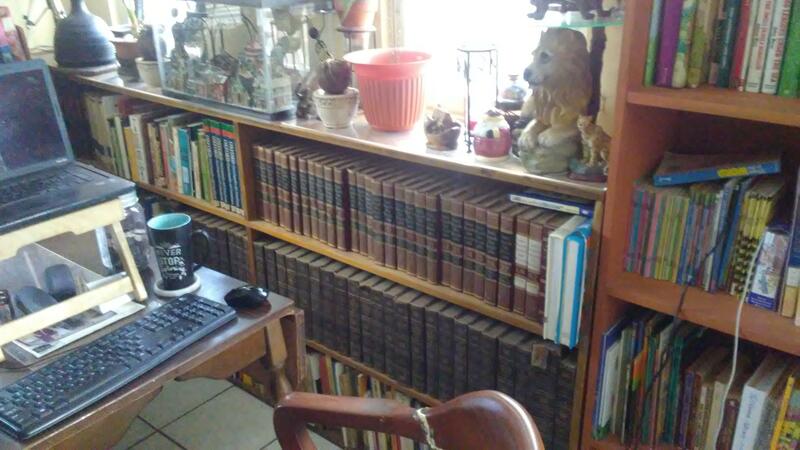 Many people have asked me what was the primary reason I became an author… a writer. While there are many reasons, the main thing I can look back on that led me into the life of being a writer was my love of reading. One day, a light bulb flickered in my brain that someone had to actually write all those books we read, and I have a responsibility to keep that going. I felt a calling and I heeded that calling. If we were to look back on all that we have learned throughout time, I believe the majority of humans would have to recognize that much of their education came from reading. I sometimes worry that the reading of books is disappearing, and then suddenly I have sales on books I have published. I realize that people still read. When we study the top sellers in published books, it is evident that personal development is a leading subject. Through various methods, I have decided to provide you with a list of the top 65 best personal development books of all time. I must first mention that the top selling book of all time could and should be considered self development related, so I must say that the Holy Bible should be at #1. So, I just had to tell you that because I cannot and shall not leave it off this list. I have not read all of the books on this list; I am using many reviews, both online and offline to develop this extensive list. Feel free to give your opinions and share any of the books you have read at the end of this post. He puts together an excellent depiction that their paths to success followed a similar road with completely different success achievements. Mastery hit #6 on the New York Times Bestseller List. Originally published in 2004, this great author uses his life as inspiration and motivation to give you principles to gain success in life. Jack is a great motivator and teacher. This book, published in 2005, delves into the psychological methods to develop our decision making into a successful, automatic mode. This book has its critics but in my opinion, it is a great read. Published in 2001, business coach, David Allen tells us some practical methods to use time to our advantage. Daniel, awarded the Nobel Prize in Economics, published this excellent book in 2011. This book can help you understand the thinking process. Published in 2005, this great book has helped many stressed, fast-paced people manage their work and personal lives in a manageable way. This best-seller has helped athletes and entertainers and can help you too. Published in 2009, Daniel shows us that what we think motivates us may not be the case. Published in 2007, there have been multiple critics of this book, but it has helped many escape the craziness their lives entail. We did a review on this book, and I highly suggest you read it. It was published in 1946 and as a prisoner in a concentration camp during World War II, Frankl takes us into how our minds and thinking can take us through anything. This is a great book to help you understand how to deal with setbacks. Gary published this in 2009, and is a great guide in using the internet to build your business far beyond any dreams you may have. Use his methods to grow your business. You can check out our review of “Crush It” right here. 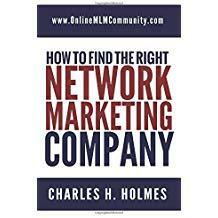 This book was published in 2013 and has gained worldwide acclaim. It has been used by many companies in training their sales force. I suggest you use it too. It was published in 2013, and many reviews say that Pat showed them how to “Keep Their Eyes on The Prize,” and not allow adverse conditions to overcome them. It is a great read and can also be read in an eBook. Published in 2010, Darren dives into how even the simple decisions we make shape our destiny. Learn how to make your small choices amount to great success. Read our review here. Following daily habits can lead to success if they are habits made to lead you there. Steve Scott published this book in 2014, and readers have loved it. Dr. Ratey shows how we can solve nearly any issue or problem simply with exercise. 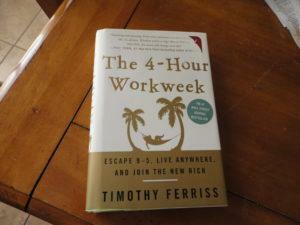 Published in 2009, this IS a great personal development book. Published in 2013, James shows us how in today’s world, it only makes sense to go it alone and make huge strides of success. It is right in front of you; just reach out and get it! When I first saw this title, I felt a great desire to read it. It was published in 2008, and I love how Geoff takes us on a journey of understanding that few people are born with natural talent. Published in 2009, you may think of this as a college textbook in psychology, but it is well written and easy to understand. Learn how to control your positive state of mind. Published in 2011, Dr. Stanley has studied those who are millionaires and billionaires. There are many of those people who you would not know are so rich if you were to meet them on the street. Learn how to be a millionaire instead of acting like one. It was published in 2004, and is still being bought by many readers. Learn the secrets of mental strength that will lead you to success no matter your calling. Many may question how this can fall into the area of personal development. Just learning how this great man rose to heights unheard of in South Africa for a black man will give you inspiration that you can also rise to greatness. This is a great autobiography. Published in 1996, Deci and Flaste did multiple studies on how people motivate themselves and their loved ones. This is a great book to help you understand how to motivate yourself. This biography of the great, and late Steve Jobs was published in 2011. A great way to learn the ways of one of the greatest entrepreneurs to grace the Earth, I highly recommend this book. Published in 2014, this book will lead you down the road of using virtual assistants and freelancers to make your business grow immensely. It would be impossible to tell you the exact time of publishing, but this is a series of notes from a Roman emperor on his personal development. I read this in High School and I believe everyone should read this book. Originally published in 1984, the revised edition was published in 2006. You will be amazed when you use Dr. Cialdini’s methods, how people will want to say yes. This is another book I read in High School and I believe everyone should read it. I know it helped me realize the possibilities. Procrastination can be an entrepreneurs greatest enemy. This book published in 1989 can help you defeat that enemy. Published in 2014, this book hit #2 on the New York Times Bestseller List. The Dr. goes through personal development of your mind so you can take in the important and discard the garbage. It was published in 1926 and is still a book that can teach us great means of handling our personal finances. It is a series of parables that were based in ancient Babylon. Published in 2015, this book is an excellent lesson in how to keep your brand alive and strong. Blackberry did not keep up with the competition. We can learn from failure. Published in 2006, Suze takes a completely different view on managing finances looking at the emotions that guide us. This personal development book will guide you into a stress-free financial management system. Published in 2015, Whitney learned the key of disruption in stock trading and realized that this method can be used by anyone. When life flows smooth, change seldom happens; everything either stays even or drops. But disruption can drive high levels of success or low levels of failure. Learn how to use disruption as an asset. This book was published in 1989. This book is excellent, as it takes you through various habits so you can discover personal and business success. One of the newest books on this list, being published in early 2015, the authors researched over 12,000 humans to discover how stress and pressure effect them. 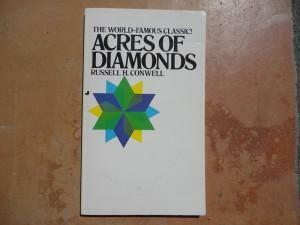 Published in 1980, this book has been a hit worldwide. It is part autobiography and part fiction, and it is great. This book published in 2015 will make you think. To be confused can be used for your success. First published in 1928, Napoleon Hill had written 16 separate lessons on success. This outline to success has been used by many successful people all through the years. Published in 2009, I honestly considered having this book higher on this list. This book has helped me decide on systems that make me a better business person as well as a better person in general. Published in 2009, the authors bring the spiritual side to personal and business success. Published in 2014, many are discovering that this is a great book on the management of people. Be it employees or contract labor, this book gives you many insights. Brian Tracy has been motivating people for years. This book of his was published in 1993 and still sells in huge numbers. Published in 2017, Laszlo heads people operations at Google. We can learn so much from how work is made to be fun and exciting even if it is monotonous. In 1981, Mr Rohn published this wonderful book about how our lives are similar to the changing seasons. A master in business management, Peter Drucker published this in 2008 to help us all understand what he learned over many years. Learn everything you need about business management in this one book! Published in 1975, the late Zig Ziglar was blunt, and to the point! I have read this book 4 times and I think I will read it again when I finish this article. Published in 2015, the founder of the Virgin Group gives us an insight into having fun becoming successful. Even in failures, Richard had fun. John published this book in 1993, and many recognized leaders claim they read and learned from this great leader. I highly recommend this personal development book to help you no matter your leadership calling. Published in 1960, these two great men give us wonderful insight in how our attitudes can control our outcomes. Just because it is an old book doesn’t mean it isn’t still useful. I dare you to read it. Published in 1982, this book has had its share of criticism, but I believe it can help you become a better leader all around. It is a short, easy read. It is not just one book, but a whole series. Starting in 1993, there has been a wide range of these personal development books published. Published in 2001, the author shows how companies can go from good to great, but most don’t. It will give you wonderful insight on managing your business. This book has been updated and revised several times, and many sales managers purchase copies for sales people. It is exactly what it says, it will teach you the best sales techniques. 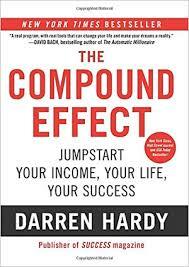 Since first published in 2003, this book has helped even the worst financial handling people learn to handle their money properly and finish rich. It is a great book; I recommend it to all. Nearly everything we do in life involves selling. Og published this book in 1968. It is about Hafid who starts poor and finishes rich using the art of salesmanship. It was published in 1997, and Robert still travels the world teaching the principles he provided in this book. Learn how you can gain financial success from one of the best. Published in 2008, Malcolm takes some very complex success theories and research, and lays it out in an easy to understand book. While I have not yet read the book, it is highly acclaimed by many. Change can be a difficult thing to handle. Published in 1998, Dr. Johnson gives us a look at how we can actually appreciate change. Published in 1936, if you have not yet read this book, you absolutely need to. You will have a complete new outlook on how to deal with other people. This excellent book was published back in 1903. Using the Book of Proverbs in the Bible as the main base, James gives us an easy outlook on how we can manage our personal lives through thought. Published in 2012, this book gives us a look at how powerful introverts can truly be in business. A must read by both introverts and extroverts! This was published in 1937 and is still quite popular reading. To publish a book with this title during the Great Depression was on the verge of crazy, but many people discovered that Mr Hill hit the nail on the head. Published in 1959, this personal development book explains how setting your goals high and then using positive thoughts to attain them will gain you huge success. There is MAGIC in thinking big! I had this book given to me in 2008 when I was facing major trials in my life. It helped me have a new outlook. Tony published it in 1991, and I suggest you get a copy! By far, this 1952 book by one of the best leaders in personal development is top of the list. I suggest you get a copy and read it and take notes. It changed my life and it will change yours. I hope you enjoyed this lengthy post and please tell us your favorite books on the list. As I said, the top book of all is the Bible. It is the top seller year after year. But I will not “push” my beliefs on you… But I do suggest you read it. Personal development…I love reading great stories from all of the pundits out there in information land. I just wish I like to read more because there is a wealth of information out there, free for the taking. Yes, people still read. As people tire of the internet I believe there will be a return to reading, especially personal development as people want to better themselves. If someone were looking for personal development reading list this is a perfect place to start. Jack Canfield, Timothy Ferriss, Richard Bach, George Samuel Clason and a host of other great authors. Let’s not forget about the wisdom of the ages in the likes of Napoleon Hill, Og Mandino, David Schwartz and everyone’s favorite Jim Rohn and Zig Ziglar. Oops, I left out John Maxwell, sorry John. I am continually amazed on what one can learn simply by reading. I can have the same experiences that others have experienced simply by devouring the authors written word. Thanks for this exhaustive list of personal development books. 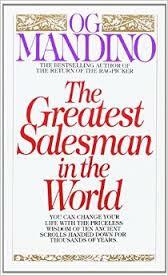 Og Mandino is my favorite author of all time, but “Think & Grow Rich” is my favorite book of all time.